I am participating in Beccy's Place - April Challenge. I used her free digital image Peonies in a Vase. I used card stock and ribbon from my stash, two Cuttlebug embossing folders, Crystal Accents on the vase and colored the image with Copic markers. Beautiful card, beautiful background too! I love this card Ema! I really like how you embossed the pieces of white card for the background and then layered them on pink cardstock. You did an awesome job colouring the peonies too. Well done! 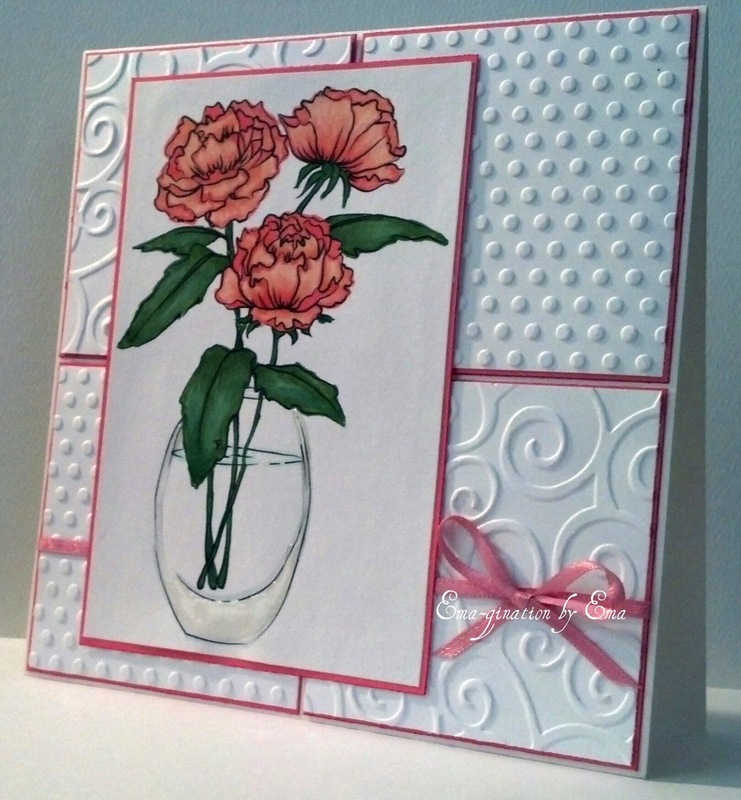 A very beautiful flower card. Thank you for joining us at Beccy's Place.